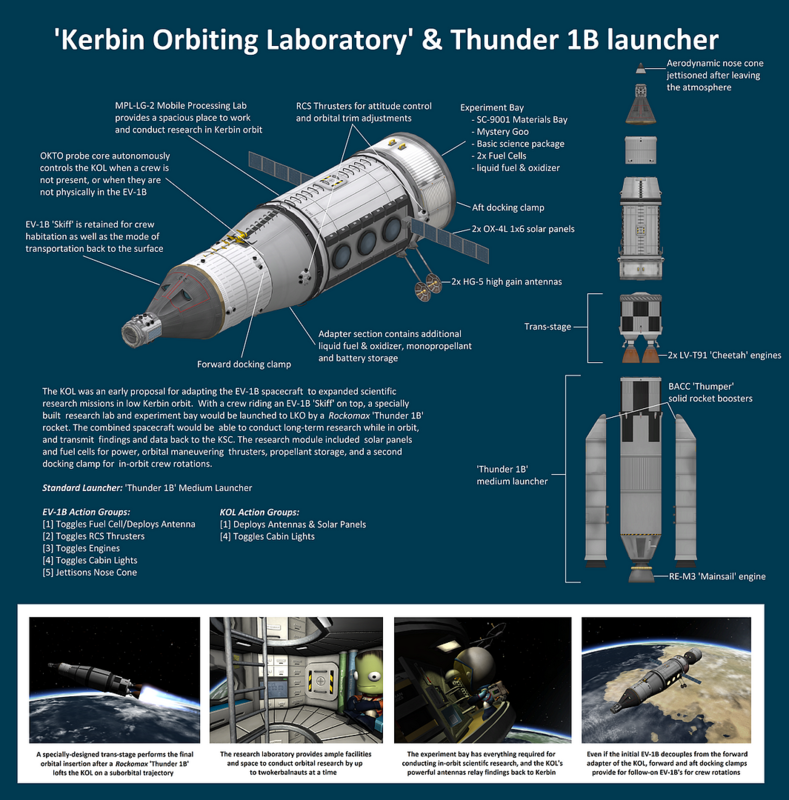 The KOL was an early proposal for adapting the EV-1B spacecraft to expanded scientific research missions in low Kerbin orbit. With a crew riding an EV-1B ‘Skiff’ on top, a specially built research lab and experiment bay would be launched to LKO by a Rockomax ‘Thunder 1B’ rocket. The combined spacecraft would be able to conduct long-term research while in orbit, and transmit findings and data back to the KSC. The research module included solar panels and fuel cells for power, orbital maneuvering thrusters, propellant storage, and a second docking clamp for in-orbit crew rotations.